Nine manufacturers have agreed to recall all of their pourable gel fuel after numerous incidents of flash fires. At least two deaths have been reported among 65 incidents of fires that caused serious injuries. The companies agreed to the recall only after the U.S. Consumer Product Safety Commission (CPSC) agreed not to release videos of the fuels exploding in lab tests, ABC News reported. Whether the CPSC can withhold public property -- the video -- produced at public expense by government employees is an interesting legal question, said Cameron Stracher, a New York lawyer who represents ConsumerAffairs.com and other media outlets. "It's interesting that CPSC Chairman Tenenbaum specifically says the recall occurred because the CPSC agreed not to show the video it had made of gel fuels exploding in labs," Stracher said. "She almost seems to be alerting the public to the video's existence and asking someone to file a Freedom of Information (FOIA) request so the CPSC can be compelled to disclose it." Stracher is preparing an FOIA request on behalf of ConsumerAffairs.com. Illinois Attorney General Lisa Madigan last month called on the CPSC to issue a mandatory recall, saying the "napalm-like" products are too dangerous for consumers and should be taken off the market completely. In one indent, a Marshfield, Mass., woman was burned at a Fourth of July party when the hostess added more gel fuel to a ceramic pot. It exploded, and hot fuel shot out of the pot and ignited the woman's clothing. She jumped into a nearby pool to extinguish the flames, but later was airlifted to a Boston hospital for burn treatment. The National Fire Protection Association (NFPA) also issued a safety alert last month. "We are seeing a number of cases where people have been injured while using gel fuel and are seemingly unaware of the dangers associated with its use,” said Lorraine Carli, NFPA’s vice president of communications. Due to the serious risks of flash fire and burns when consumers add pourable gel to an already burning fire pot, consumers should immediately stop using the pourable gel fuel. Of the 65 incidents, 28 of them, including 37 burn injuries and two fatalities, occurred with fuel gel products made by Napa Home & Garden, which conducted a recall of its products in June 2011. Also in June, CPSC issued a press statement alerting consumers to the hazards of pourable gel fuels. The CPSC said that, despite some manufacturers' claims, all pourable gel fuel, regardless of manufacturer, poses flash fire hazards. Real Flame had issued a press release after Attorney General Madigan's demand for a recall, claiming that its products -- which have now been recalled -- were not involved in any of the incidents. 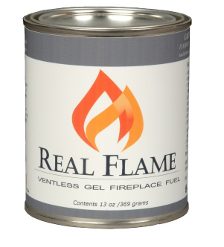 "Real Flame understands the Illinois Attorney General's reaction, and is saddened that people have been injured as a result of gel fuel products," said John Ridgeway, Vice President Sales and Marketing for Real Flame. "However, it is important to note that some fuel gel products with a long history of product testing and consumer safety are on the market today, none of which have been the cause of these accidents and should not be included in a ban." Fire departments around the country have expressed concern about the pourable gel fuel, as in this report from KHQA-TV in Quincy, Ill. The National Fire Protection Association warned in its alert that a flame may still be burning even when it is not visible, which is not uncommon with some gel fuel, and pouring fuel on any open flame is extremely unsafe. According to NFPA, it is also important to allow a gel fuel device to cool completely (30-45 minutes) before refueling because if the fuel comes into contact with the hot device it may splatter on clothing or skin, resulting in a burn injury. “Anytime you are using devices that involve fire, it is critical to use caution and follow safety tips. This is proving to be especially important with gel fuel,” said Carli.